Woo! Fall hit us really quickly so we are getting out and using this cool weather wisely to help Oliver with new situations. 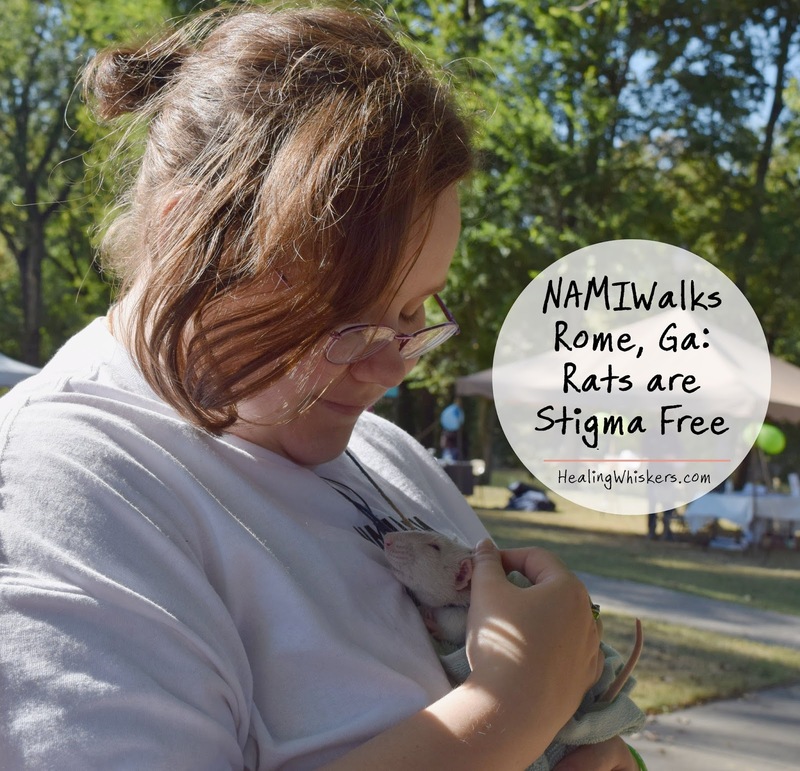 This weekend we went to the NAMIWalk here in Rome, Ga. NAMI stands for National Alliance on Mental Illness and we decided not to walk since I am utterly exhausted from my new job, but Oliver was a hit! Our local Pet Partner's team, Compassion Paws, had a booth so I stayed with my fellow animal lovers and let people come up to pet Oliver as they wished. 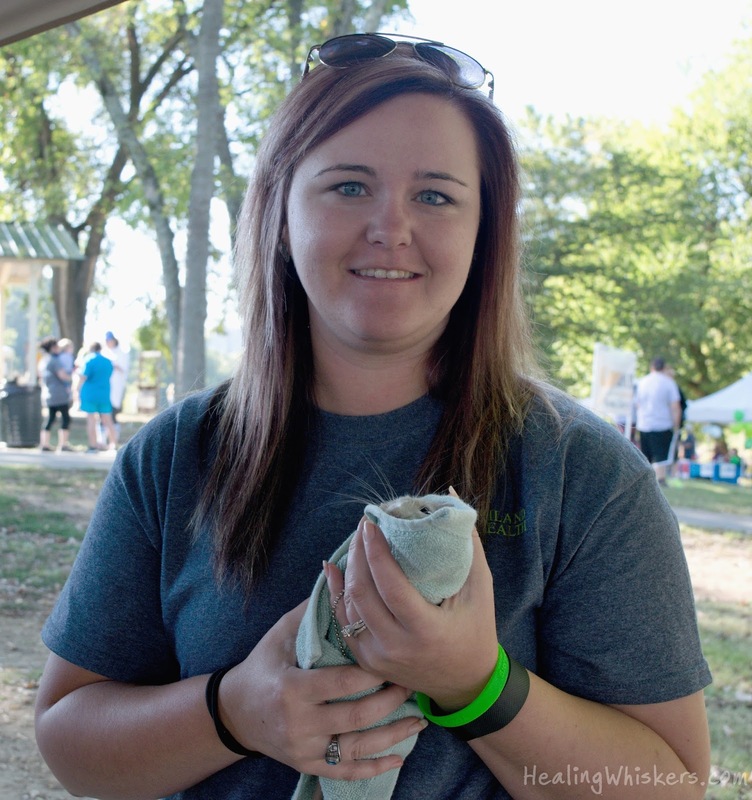 I love how one of the hashtags for the event was #IamStigmaFree. 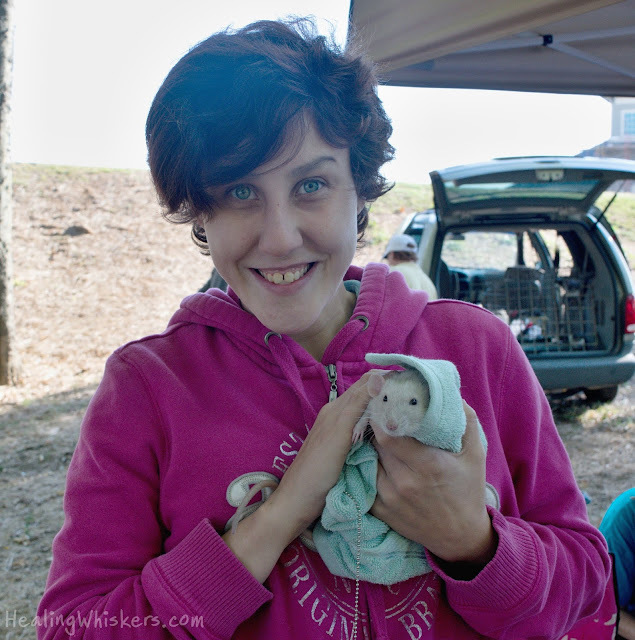 Rats get a bad rap yet they love everyone! I answered many questions and Oliver was fantastic. He did have one urine mishap on a nice lady. I felt really bad, but made sure to keep him in his basket when he wasn't visiting with someone. 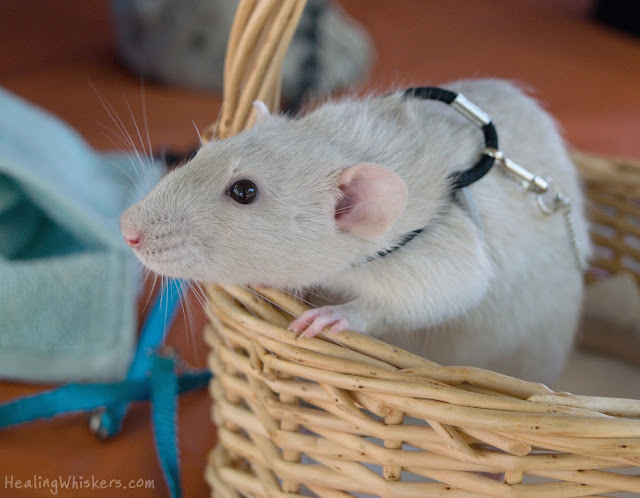 I am still not sure if having a portable litter basket is something I am able to do during therapy visits, but this is still good practice for training. Oliver had a couple of milestones today too! He actually had a baby pet him which was amazing. Seeing a little one smile and touch Oliver's head was quite a sight! So far training has been going very well! Our Handler's Workshop is this month and I am super excited to learn more about therapy work. Oliver is really blossoming and although he was exhausted after a while I think he enjoyed all the attention! 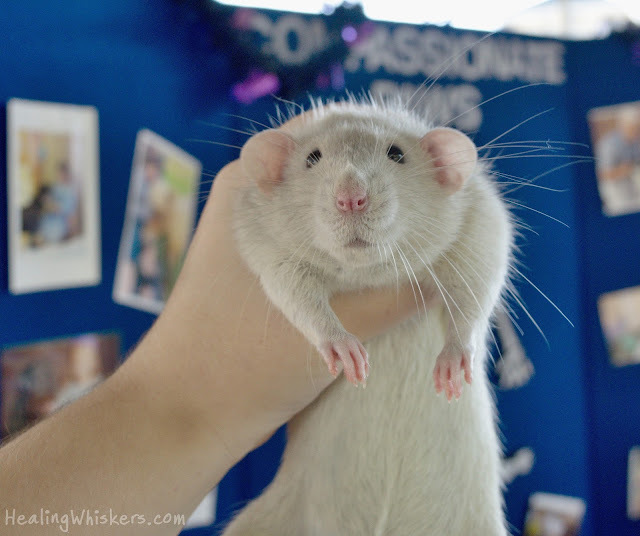 How do you feel about rats in general? What a great first outing for Oliver! I love that last photo of him. So sweet!